Metrorail service will stop 30 minutes earlier Monday-Thursday, 2 hours earlier Friday-Saturday and 1 hour earlier Sunday. Metro used to stay open until 3 a.m. on Friday and Saturday nights. Metro's board of directors has approved suspending late-night service on the beleaguered system for at least two more years after D.C. leaders softened their stance on the matter. Metro used to stay open until 3 a.m. on Friday and Saturday nights. It's been closing earlier since SafeTrack, a nine-month maintenance blitz, began in June. General manager Paul Wiedefeld has argued that shorter operating hours are necessary to keep the system in good repair. The debate over the late-night hours exposed rifts in the board, which includes appointees from the District of Columbia, Maryland, Virginia and the federal government. The District's appointees argued the later hours are important to the city's economy and workers. Despite their concerns, D.C. officials endorsed the plan at a board meeting Thursday. Reaction from riders following the announcement of the new hours was swift. "When are we all getting together to cut up our SmartTrip card in protest? This is a boon for @Uber and @lyft," Milena Rodban wrote on Twitter. "Make no mistake, we are witnessing the dismantling of a major mass transit system. DC will take decades to recover from this, if ever," Twitter user Jacob Anbinder added. 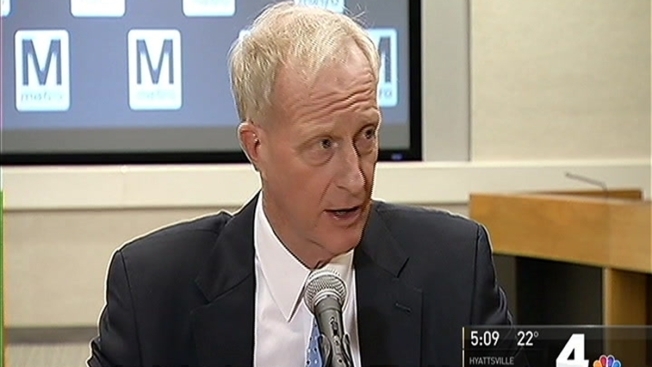 D.C. councilmember and Metro Board Chair Jack Evans said two years of maintenance is tough to swallow. Evans said D.C. Mayor Muriel Bowser is also on board with the new plan. Evans says it will be up to the Wiedefeld to determine how Metro will handle special events like Washington Redskins games. Metro will also monitor demand to see if a new bus service will have to be added to supplement rail service.